Everyone loves getting compliments on their looks. In the era of modernism, everyone wants to look at their best. Hair, are the most important part of the looks. If you have healthy, long and shiny hair, you can deal with anything. Nowadays, most of the people explore internet to look that how to make your hair grow faster. So, here are some tips for healthy hair that will help you to make your hair stronger and longer. Balanced diet is essential for healthy hair. If your body is lacking essential vitamins, proteins, fatty acids, you fill face hair fall. Eating healthy and balanced diet and proper care is the fastest way to grow hair. Hair is made up to keratin (protein). Consume protein diet to make your hair strong, shiny and luscious. Extreme low protein diets can cause hair fall. Ensure that you’ll add chicken, dairy products, eggs, legumes and nuts in your daily life for healthy hair. Consuming protein rich diet will help to increase hair growth. Iron is the most important mineral for hair growth. Anemia, a major cause of hair loss is due to iron deficiency. If iron levels are low, this will lowers the nutrient supply to the follicle, hair growth cycle will disturbs and you may face hair shedding. So consume an iron rich diet including spinach, green leafy vegetables, salad etc. Vitamin C increases the absorption of iron in body. Vitamin C is rich source of antioxidant. It helps to increase the production of collagen in your body which will strengthen the capillaries of hair shaft and increasing nutrient supply to hair follicles. Eat fruits like kiwi, oranges, papaya, strawberries, blueberries etc. Omega-3 fatty acids are essential to take as our body cannot make them itself. They provide the oil to the scalp which keeps your hair and scalp hydrated. Eat walnuts, pumpkin seeds, avocado, salmon fish etc. for omega fatty acids. Cornstarch Cornstarch makes a great dry shampoo for oily hair. So just sprinkle it onto your scalp, let it sit for 10 minutes and brush it out properly. Cornstarch also straightens your hair naturally. Mixture of gelatin, cornstarch and almond oil is used as natural hair straightening cream. Fullers Earth (Multani Mitti) Wash your hair with multani-mitti. It will give bounce to your hair while removing the unnecessary oils. It has cleansing and oil absorbing properties. Tea Tree Oil Mix a small amount of tea tree oil into carrier hair oil. It will provide a great relief from oily hair. It promotes hair growth, soothes itchy scalp and prevents many hair problems such as dandruff, baldness, psoriasis, and even head lice. Olive + Honey Olive oil and honey will help to moisturize your hair. Egg Yolk + Honey + Yogurt Mixture of egg yolk, honey and yogurt will help to fight dandruff and nourishes your hair. Lemon Juice + Olive Oil Lemon juice and olive oil mixture removes dandruff and reduces itchy sensations on the scalp. 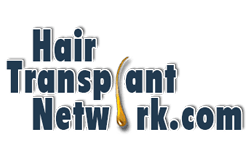 How to grow hair naturally soft and shiny? 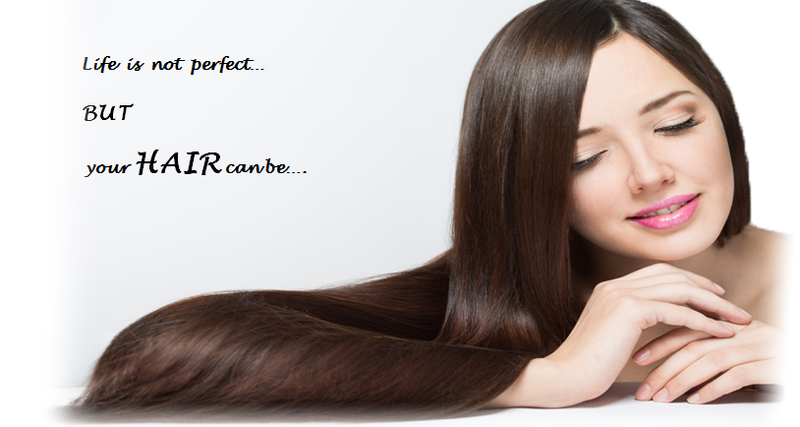 You can make your hair soft, shiny and make grow hair fast without depending upon the expensive salons or treatments. Yes by following the natural tips for hair growth, you can grow your hair fast and more important naturally. Just use these simple ingredients and these are available easily in kitchen. Mix egg & yogurt and whisk them properly. Apply paste to your hair and wash after 2 hours. Eggs will make hair stronger and yogurt will make your hair smooth. Half cup milk + 2 spoon honey, apply for 1 hour. wash with regular shampoo. Mix skinned papaya & half yogurt and apply. Sit for 45 mins and wash. This mask will prevent dandruff, balding and will make your hair stronger. Sit for half an hour and rinse. Oil your hair! Most of us have heard this in our life from our grandmother or mother. Oil can make your hair stronger, shiner or healthy. Natural oils can prevent your hair from damage. Here are few methods to make natural oils which you can use to treat your damaged hair. Take a pan and mix amla powder with water. Bring it to boil for once then simmer it & wait until half of the mixture is evaporated. Strain the mixture and keep it aside. Take another pan & mix coconut oil and some amla powder in it. Add strained amla concentrate and boil it and let water evaporates. Strain the oil and store it immediately in container. Curry leaves and coconut oil: Mixture of coconut oil and curry leaves is best for gray hair. Curry leaves helps to restore melanin (pigment for coloration). These are rich in vitamin B, thus boosts the hair growth. Put curry leaves and coconut oil in a pan and heat until black residue is formed. Apply this on scalp and massage gently and sit for 1 hour, rinse off. Use this oil for at least 2 times in a week for better results. 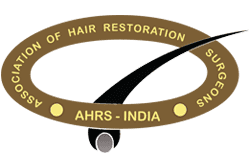 Mustard oil and Castor oil: Castor oil contains ricinoleic acid and omega- 6 essential fatty acids which help in boosting blood circulation to the scalp which increases hair growth. It also nourishes the scalp and strengthens the roots due to its high protein content. Mustard oil contains zinc, calcium, iron, magnesium, and selenium. These oils help to keep your scalp nourished. Mix both oil in a pan and heat then for few seconds. Do not overheat the mixture. You may lose essential nutrients through overheating. Apply this warm mixture of oil on scalp and hair properly. Massage on your hair for 10 minutes and leave it for 1 hour. Wash your hair after 1 hour with regular shampoo. Tulsi, Coconut oil & Fenugreek seeds: Tulsi helps to treat damaged scalp and dandruff. It also stimulates the blood circulation. Make a thick paste of Tulsi leaves by grinding. Add paste into saucepan and add coconut oil to the paste & heat the mixture on low flame. Turn off the heat after 5 minutes and let it cool after straining the oil in a container. Apply warm oil on to your scalp and hair and leave it for half an hour, rinse it. Use this oil twice a week to get rid of dandruff and dry hair. Go Natural as much as you can!! Try to use natural products for hair growth. They will not harm your hair as chemical products do. There are various natural growth enhancers which will help in hair growth. Biotin: Improves keratin (a basic protein that makes up hair, skin and nails). It helps to renew the follicles and roots of the hair that are already growing. Rosemary & Lavender: Gently cleanses hair and fights premature graying. It relieves the irritated, dry, flaky, dandruff ridden scalp and rejuvenates it. Virgin Coconut Oil: Effectively improves scalp circulation and boost nutrient and oxygen delivery to the hair follicles. 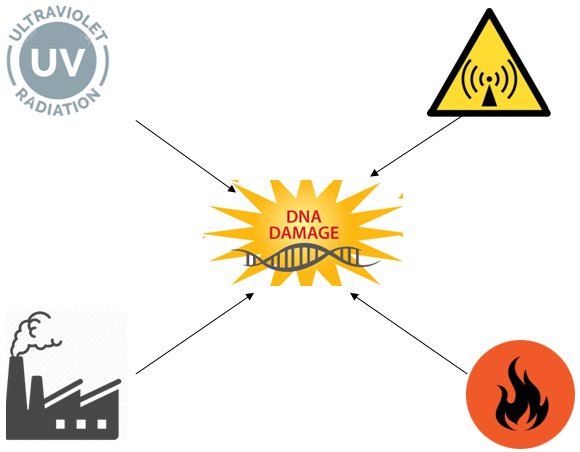 It also gives protection against environmental impurities. Contains both anti-fungal & anti-bacterial properties, thus protects against dandruff and lice. Aloe Vera: It helps to reduce the scalp redness & Inflammation. Exhibits water & moisture retaining properties and also promotes hair growth. Peppermint: Strengthens hair roots and stimulates the blood circulation to the follicles. It reduces the excessive oil production and fights dry scalp. Get a trim: Your hair ends should be healthy for proper growth. Trim your hair every 8-10 weeks so that split ends will break off and healthy growth will start. Treat your scalp: Keep your hair roots healthy, as dirt, oil & dead skin cells can accumulate on the scalp. Gently massage the scalp with your fingers. it will also improve circulation. Skip a wash: Avoid daily washing of your hair. The less you wash your hair, the less heat you will add to your hair. Always choose good dry shampoo which will allow you to go without hair washing for up to 5 days. Eat healthy: Diet plays an important role in hair growth. Increase your intake of protein rich foods like dairy, fish, pulses, nuts, eggs, lean meat and soya. Eat fruits and green vegetables. Stay hydrated: Keep your body hydrated. water is necessary to maintain the hair growth. Dehydrated bosdy leads to breakage prone & dull hair. Brushing:Always brush gently your hair. harsh brushing can cause hair breakage. Take small sections to de-tangle hair. Vitamin boost: Take vitamin supplements specially vitamin H (Biotin for hair growth). This will provide nourishment to your hair and helps in hair growth. Oatmeal: Oatmeal is very nourishing for your hair. It will make your hair healthy looking and soft with silky feeling. Mix all of the ingredients together & apply to dry scalp. Rinse with warm water and mild shampoo. Eggs: Eggs can be used for every type of hair damage. Take 1/2 cup egg mixture and apply it to your damp hair, leave it for 20 mins, rinse with cool water, then shampoo. Papaya & yoghurt: Mixture of papaya and yoghurt helps to treat your split ends. De-seed and skin the papaya, then mash it properly. Mix it with the yogurt until you get a whipped consistency. Apply and sit for about 45 mins & Rinse thoroughly. Apple Cider Vinegar: Mixture level of apple cider vinegar and olive oil will help to repair the hair damage caused by environmental factors. Mix all the ingredients together and apply it to your unwashed hair. Clip your hair up and sit for 30-60 minutes. Beer: Ingredients Malt & Hops (flower humulus lupulus) in beer makes hair soft & less prone to tangles. Apple cider vinegar is added to remove the coating of build up on hair. Let it sit for 5 minutes then rinse with Luke warm water. Know what affects your hair or making your hair dry, frizzy and damaged!!! What are the factors that can affect your hair? External Factors can cause damage to your hair at greater extent. These factors can make your hair look dull, frizzy immediately. Internal factors can also lead to hair damage but effects will take time to get noticed. How External factors affect Hair growth? 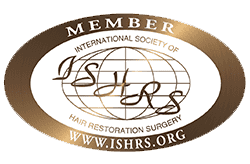 UVB (The Burning Rays) radiations are responsible for the hair protein loss (Keratin) and UVA (Aging Rays) radiations are responsible for hair color changes in your hair. Hair Follicles are highly sensitive to ionizing radiations. These rays can affect the growth and pigmentation of hair. Air pollution contains dust, smoke, harmful gases, VOC (Volatile organic compounds) which settle on the scalp and hair. These particulate matters can migrate into the hair follicle which can give rise to oxidative stress and hair loss. 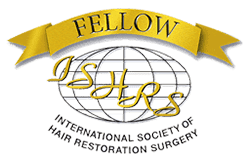 Inflammation in the cells present in hair follicles, associated with an enlargement of follicular dermal sheath can cause alopecia or hair fall. Heat: Using hair dryer, straighteners can cause more surface damage to your hair. High temperatures led to breakage of keratin bonds in hair which results in hair fall. Chemical Influences: Chemicals disrupt the disulfide bonds present in the hair shaft which makes your hair fragile and dry. Common problems associated with chemical damage are frizzy hair, hair loss, thinning hair, grey hair etc. Desalinated water: Desalination is the process of the removal of salt from sea water to produce drinking water using chlorine. When your hair comes in contact with chlorinated water, it damages the cuticle and protein of hair. It makes hair frizzy, dry or brittle. How internal factors affect Hair growth? Hormones: Hormonal effects on hair growth are far more advanced. Androgenetic alopecia (AGA) is the most common form of hair loss. In AGA, dihydrotestosterone causes continuous miniaturization of sensitive hair follicles and led to hair fall. 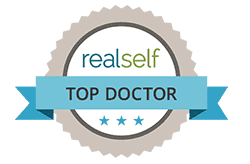 PCOS can cause hyperandrogenism. Hair follicles became sensitive to the hormone androgen resulting in hair fall. Diet: Nutrition plays a major role in hair shedding. Nutrients like vitamins, amino acids, fatty acids, minerals are required to maintain the healthy hair growth. Deficiency of nutrients can cause damage to both hair structure and hair growth. Vitamins: Vitamins play vital role in the hair growth. Vitamin D helps in hair follicle cycling. Vitamin A helps to activate hair follicle stem cells. Biotin or vitamin H helps in DNA make up and protein synthesis. Minerals: Deficiency of minerals like zinc, iron, selenium etc can make hair brittle, rough. Fatty Acids: Deficiency of fatty acids can cause loss of hair on your scalp, eyebrows and even lightens them. Fatty acids promote hair growth by enhancing follicle proliferation. Stress & Anxiety: Stress is a part of our daily life. Stress can be emotional, physical or traumatic. It can be chronic or acute. Stress keeps hair follicles in resting phase and effected hair shed away at the same time. Smoking: Cigarette smoke causes damage to dermal papilla and DNA of hair follicle which makes your hair weak, resulting in hair fall. Age: Aging is the natural process. Aging can cause thinning of the hair shaft and reduces hair density. Hair graying or the loss of pigment production and deposition within the hair shafts lead to hair fall. Disclaimer: Above given information is based on research. We as such do not endorse any type of natural treatments indicated above.